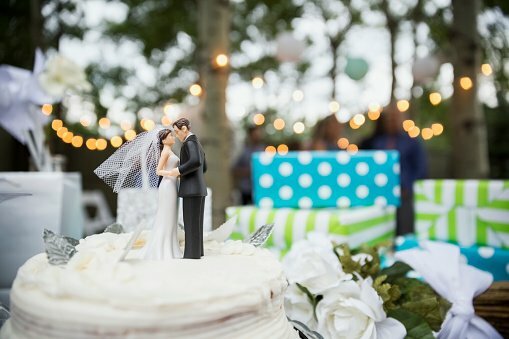 The traditional wedding lists of toaster, crockery and dinner sets are falling out of favour according to Competitor Monitor’s recent retail analysis reports. Today’s modern couples are marrying later in life and cohabiting before tying the knot, meaning the kitchen basics have already been purchased. Consequently, contemporary couples are becoming more adventurous with their lists, choosing non-essential items which reflect their interests and personalities. Our eCommerce industry research and analytics point to an upward trend in the number of electronic gadgets gracing 2016 wedding lists. The department store John Lewis claims that the NutriBullet juicer,Crockpot slow cooker and George Foreman grill are the most popular items on today's wedding list. The addition of such items, as well as luxury interior finishes, mean that gift lists can now exceed £20,000 in value - a far cry from the humble toaster or carriage clock that appeared on the lists of yesteryear. John Lewis’s ‘Never Knowingly Undersold’ guarantee and exemplary customer service ensures that the department store maintains the coveted position as the country's leading host of wedding gift lists. However, industry monitoring and analysis shows a new breed of wedding list hosts are gaining popularity and clawing into their market-share. Established in 2010, the wedding gift list host Prezola, offers competitive pricing and, crucially, a much larger selection of brands and products, from lavish lifestyle boutique brands such as Nordic House and OKA to luxury sound systems by Bang & Olufsen. As couples continue to search for more diverse and innovative ideas for their wedding list products and hosts, Competitor Monitor are able to provide up to the minute retail trend analysis, competitor and price monitoring as well as reports on industry pricing. Our market-leading pricing metric software can therefore identify burgeoning trends in the early stages, allowing you to respond quickly and appropriately to your customers needs and, most importantly, stay one step ahead of the competition. You can take advantage of Competitor Monitor's free trial above.